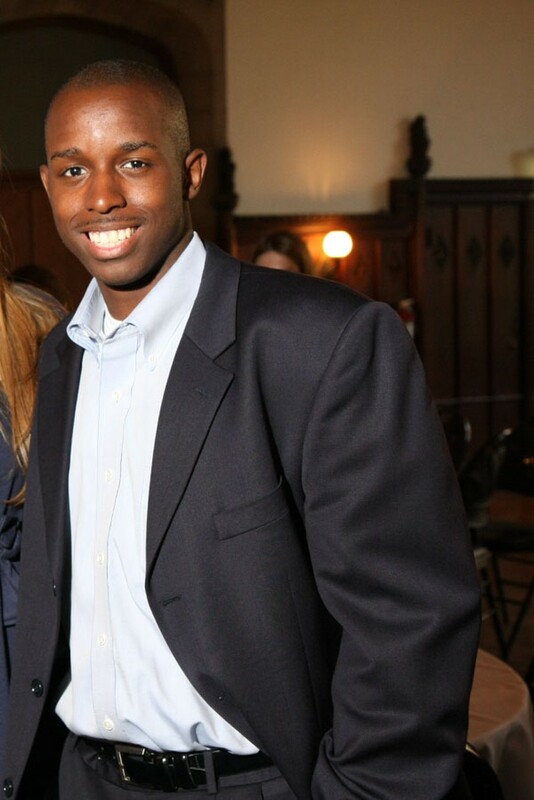 Student Government (SG) officials have appointed rising fourth-year Allen Linton to serve as Community and Government Liaison for the 2010–2011 school year. Linton will be the first person to serve in the new Liaison position. In early March, the SG Assembly voted to put the creation of the position to a student body referendum, and 72 percent of voters favored the new position during the general election, easily clearing the 60 percent needed for the measure to pass. That referendum described the Liaison as, "a formal link to local politicians, community issues, and the university's Office of Civic Engagement," but rising second-year and Undergraduate Liaison to the Board of Trustees Frank Alarcon acknowledged that Linton would have wide latitude in defining exactly what the new Liaison does. "We're expecting him to really blaze a trail and help the position evolve," said Alarcon, who first conceived the position and did much of the legwork to formulate the original proposal and bring it before the Assembly. Linton, who worked previously on SG committees and was a candidate for vice president of student affairs during United Progress's failed bid for executive slate in 2009, said he plans to help students understand the actions and agendas of local officials, as well as coordinate student efforts to talk with the Office of Civic Engagement and local politicians. "I think politicians are open to communication," Linton said, "but having the broader support of Student Government can leverage politicians to come out and be supportive." Linton pointed to Hyde Park retail and healthcare services as two issues that directly concern students and local government, and said he would address both. He was quick to note, however, that he doesn't imagine his role to be proposing and advocating solutions to perceived problems. "I don't think the position is one where we come up with hard and fast policy, but I think beginning some discussion so we understand the process is very important," Linton said. Asked what he does hope to accomplish between now and the end of the next school year, Linton laid out a broad set of goals. "Success can be measured with having at least all three aldermen speak on campus," Linton said. "I think success is taking some of the organizations I talk with and having them more streamlined and in communication with each other. And quite frankly, having a legitimate dialogue that takes place with students, the administration, and elected officials around the city." Alarcon said he also envisioned the Liaison reacting to smaller issues that crop up with local officials. As one example, he recalled a time that several students asked him about an apparent increase in unmarked police cars patrolling the neighborhood. Alarcon said SG previously had no mechanism to handle questions like those, and he designed the Liaison position in part to find answers when students raise such issues. Following the April referendum, SG solicited and received nine applications for the Liaison position. From among those applicants, four finalists were chosen and interviewed before the appointment was made. "What stood out about Allen is his profound understanding of local politics," Alarcon said. "He's a native of the South Side, and really has a deep understanding of local issues. That's what this position is all about, so he's the perfect guy." Beginning in 2011, the Community and Government Liaison will be elected by the student body, just as the Liaisons to the Board of Trustees currently are. Just over a week after the Hyde Park Herald reported that stained glass panes in the Chicago Theological Seminary (CTS) would be removed this summer, the University has announced that construction work on the CTS will not begin until Anna Beha Architects and the University have finished their assessments of the existing structure and the needs of the Milton Friedman Institute for Research in Economics (MFIRE). MFIRE will occupy the current CTS building following its renovation. The assessment process will stretch into the coming fall and the stained glass will remain in place until at least that time, University spokesman Steve Kloehn confirmed. "The right order to do things in is to understand what's there, and start making plans based on that information," Kloehn said. According the the University's press release, the assessment process will include public presentations of the renovation plans and opportunities for community feedback. Last week the Herald quoted a letter from CTS President Alice Hunt which said that the stained glass would be removed sometime this summer. Kloehn said he wasn't certain how to account for that discrepancy. Former Dean of the Booth School Ted Snyder formally ended his tenure June 30, and no successor has yet been announced to fill his spot. The Financial Times has reported that the search for the next Dean is nearing its end, and that an announcement will be made within the month. Until then, Deputy Dean for the Full-Time M.B.A. Program Stacey Kole, Deputy Dean Mark Zmijewski, and Deputy Dean for Faculty Richard Leftwich will jointly head the business school. Snyder will take over as Dean of the Yale School of Management in July 2011. No interim director will be necessary at Fermilab, where the Board of Directors has given Pier Oddone a second term as director of the laboratory, the University announced this week. Oddone's five-year term will run through May 2015. LeBron went to Miami; did his dad go to Chicago Law? On the same day that LeBron James broke the hearts of hoop dreamers throughout Chicagoland by announcing he would sign with the Miami Heat, news broke that a Washington, D.C., lawyer and graduate of the Law School filed a suit against James and his mother which alleges he is the father of the "Chosen1," and that the Jameses conspired to keep his paternity under wraps. Leicester Stovell (J.D. '80) claims he met Gloria James in Washington, D.C., in March 1984, roughly nine months before LeBron James was born. As for why he has only now come forward, Stovell told a reporter for CNN that he "came across this set of recollections and in focusing on them, they amplified." In the same interview, Stovell, who bears a considerable resemblance to LeBron James, said he has approximately the same height and build as the NBA superstar.